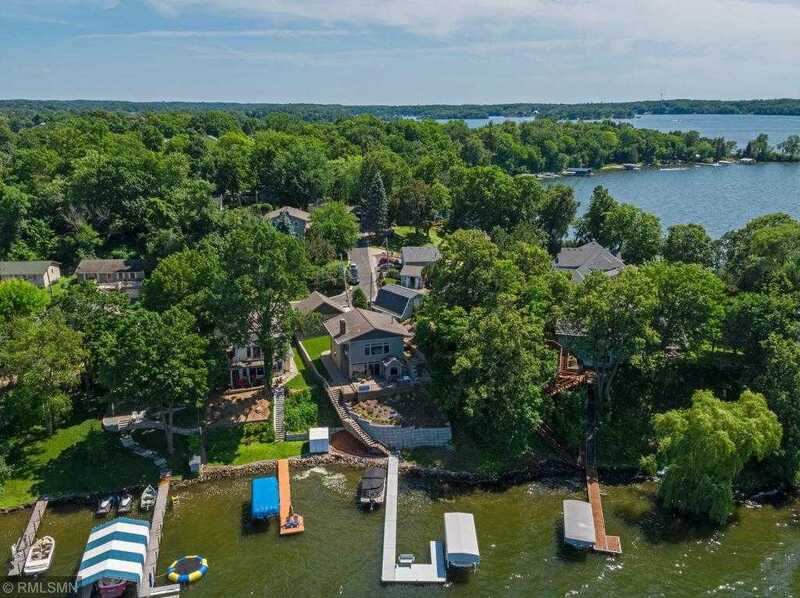 This Lake Minnetonka retreat sits out on the peninsula dividing Cook's Bay and Priest's Bay. Northwest facing panoramic views of the lake. The home is updated inside and out, with a manicured lawn, and huge Ironwood Deck that's perfect for entertaining or quiet evening on the water. Walk down the street to Al & Alma's for a cocktail, or take short boat ride to any of Minnetonka's lakeside restaurants. You will not find a better value on the lake. Directions: CO RD 15 TO INTERLACHEN, SO. TO TUXEDO, TO AL AND ALMAS, TO PIPER RD. Please, send me more information on this property: MLS# 5203450 – $795,000 – 5342 Piper Road, Mound, MN 55364.